Emory Symposium on Coronary Atherosclerosis Prevention (ESCAPE) is organized by Emory University School of Medicine and will be held from Jun 05 - 09, 2019 at Omni Amelia Island Plantation Resort, Amelia Island, Florida, United States of America. The target audience for this medical event is Cardiologists, Primary Care Physicians, Internists, Nurses, Pharmacists and Mid-level providers. This CME Conference has been approved for a maximum of 20.25 AMA PRA Category 1 Credits. Description: Cardiovascular disease remains the number one cause of death of men and women in the United States and a major cause of disability. The American Heart Association has a stated goal to reduce deaths from cardiovascular disease and stroke by 20% by 2020. In order to achieve this goal, physicians and clinicians must gain knowledge, skill and resources to integrate the latest research and clinical guidelines in the context of their own practice. At ESCAPE attendees will hear nationally renowned speakers discuss ACC/AHA guidelines on hypertension, blood cholesterol, women's heart disease, electrophysiology, peripheral artery disease, interventional cardiology and congestive heart failure. Additional details will be posted as soon as they are available. Georgia Academy of Family Physicians (GAFP) Summer CME Meeting 2019 is organized by Georgia Academy of Family Physicians (GAFP) and will be held from Jun 06 - 09, 2019 at Omni Amelia Island Plantation Resort, Amelia Island, Florida, United States of America. Additional details will be posted as soon as they are available. Women's Health for Primary Care is organized by MCE Conferences and will be held from Jun 21 - 23, 2019 at Omni Amelia Island Plantation Resort, Amelia Island, Florida, United States of America. This CME Conference has been approved for a maximum of 12 Prescribed credits by the American Academy of Family Physician. Target Audience : All Physicians and other Healthcare Professionals seeking clinical information about Women's Health issues. Course Description : This conference is designed to provide primary care practitioners with up-to-date, evidence-based information on commonly encountered issues in women's health, while suggesting pragmatic approaches to clinical management. The discussion-based format of the conference will encourage audience participation through dynamic interactive lectures and case-based studies. Our National speakers will present and critically assess recent advancements and industry updates in Women's Health for Primary Care, with the goal of enhancing the knowledge-base and core competence of attendees. The successful completion of this interactive program should improve attendees’ confidence in diagnosing, treating, and prescribing the most effective courses of treatment, with the ultimate goal of improving patient outcomes. Course Objectives : • OB/GYN Risk Management Case Studies • Uterine Fibroid Update • Exercising in Pregnancy • Migraine Headaches • Mammographic Screening and Breast Density • Contraception Update 2018: The Rise of LARCs • Depression: Meeting the Clinical Challenge • Case Studies in Vaginitis • Menopause Hormone Therapy: Where Are We Now? • Management of Common BCP Issues • Hypertension: A Clinical Update for the Busy Clinician Additional details will be posted as soon as they are available. Beauty and the Beast Esthetic Dentistry and Oral Disease is organized by Emory University School of Medicine Office of Continuing Medical Education (OCME) and will be held from Jun 28 - 30, 2019 at The Ritz-Carlton, Amelia Island, Amelia Island, Florida, United States of America. 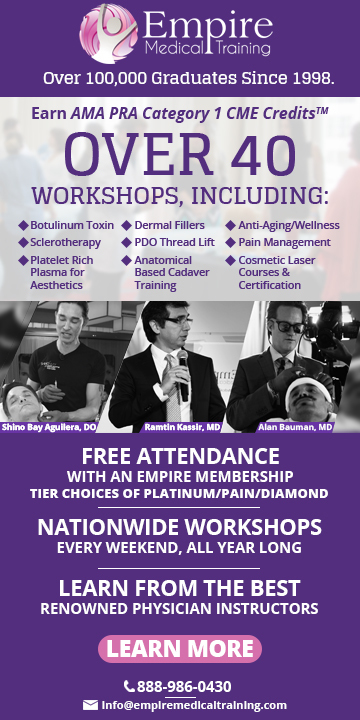 The target audience for this medical event is Dentists and auxiliary healthcare professionals. This Conference has been approved for a maximum of 10.50 CDE. Additional details will be posted as soon as they are available. Georgia Society of Health-System Pharmacists (GSHP) Summer 2019 Meeting is organized by Georgia Society of Health-System Pharmacists (GSHP) and will be held from Jul 12 - 14, 2019 at Omni Amelia Island Plantation Resort, Amelia Island, Florida, United States of America. Additional details will be posted as soon as they are available. Clinical Overview of the Recovery Experience (CORE) Conference is organized by C4 Recovery Foundation and will be held from Jul 14 - 17, 2019 at Omni Amelia Island Plantation Resort, Amelia Island, Florida, United States of America. The target audience for this medical event is Physicians, Nurses, Social Workers, Psychologists, Mental Health Counselors, Private Practioners, Alcohol/Drug Educators, Trauma, Recovery Advocates, Marriage & Family Therapists, Employee Assistance Professionals (Workplace issues), Professional Counselors, DOT/SAP Professionals, Chemical Dependency Counselors, Rehabilitation Counselors, Alcoholism and Drug Abuse Counselors, Family Physicians, Nurse Practioners, Physician’s Assistants, Pharmacists, & LGBTQ. This CME Conference has been approved for a maximum of 25 AMA PRA Category 1 Credits. Description: Join us for the 7th Annual Clinical Overview of the Recovery Experience (CORE), a C4 Recovery Foundation event. Last year, CORE hosted 496 participants from 36 states from a diverse range of fields. CORE highlights the critical importance of providing individualized treatment and presents new options for productively integrating useful clinical tools into a larger recovery-oriented treatment culture while maintaining passion for delivering advanced behavioral, addiction, and therapeutic services. 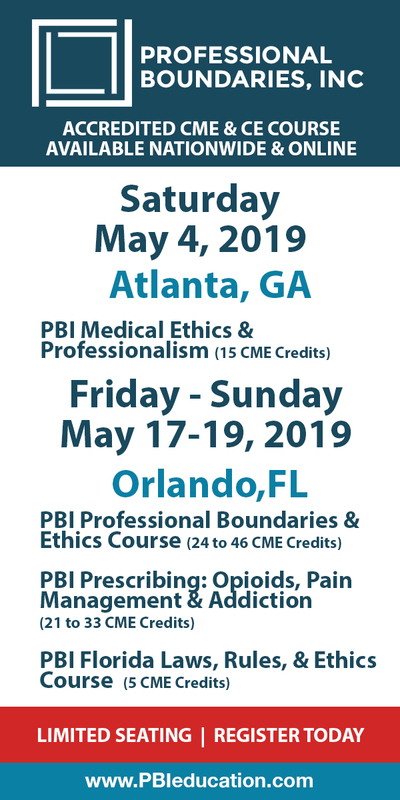 It is an opportunity for addiction professionals to advance the principles of client-centered treatment with a strong clinical foundation as well as to be a forum to increase the collective understanding of the full continuum of recovery processes, including 12 step recovery. Our goal is to improve outcomes by better integrating personalized evidence-based treatment services that allow individuals, families, and professionals to choose the most appropriate treatment. Additional details will be posted as soon as they are available. Southern Orthopaedic Association (SOA) 36th Annual Meeting is organized by Southern Orthopaedic Association (SOA) and will be held from Jul 17 - 20, 2019 at Omni Amelia Island Plantation Resort, Amelia Island, Florida, United States of America. Additional details will be posted as soon as they are available. Heart Failure Management 2019: Precision Medicine to Personalize Care is organized by University of Florida (UF) College of Medicine and will be held from Jul 18 - 21, 2019 at Omni Amelia Island Plantation Resort, Amelia Island, Florida, United States of America. Target Audience: This course is designed for Cardiologists, Family Medicine Physicians, General Internists, Nurses and Nurse Practitioners, Physician Assistants, Pharmacists, Hospitalists and Cardiology Technicians. Credit: Physicians: The University of Florida College of Medicine designates this live activity for a maximum of 19.75 AMA PRA Category 1 Credits™. Nurses: Nurses attending the entire program may be awarded 19.75 ANCC contact hours. Nurses attending a portion of the program may be awarded credit as shown. Pharmacists: This three and one-half day knowledge based conference, ACPE#s 0046-9999-19-041-044-L01-P and can provide up to 19.5 contact hours of continuing pharmacy education credit. Course Description: The contemporary management of heart failure is characterized by evolving strategies to combine newer approaches based on research advances with well established evidence-based standards of care. This educational activity is designed to provide a comprehensive overview of the current strategies for the treatment of heart failure. Course faculty will review cutting-edge approaches to diagnosis and classification and provide techniques and tips for the pharmacological and device management of heart failure. The material presented will have an interdisciplinary focus and will be of interest to physicians and other health care professionals who care for patients with heart failure. Learning Objectives: The information presented at this evidence-based activity should improve your ability to: • Discuss the clinical profile of heart failure and differentiate between heart failure due to reduced or preserved left ventricular ejection fraction. • Apply appropriate strategies to optimize pharmacologic treatment of heart failure with reduced and preserved left ventricular ejection fraction. • Evaluate patients for advanced surgical therapies for heart failure including left ventricular assist device and cardiac transplantation. • Understand options for electrophysiological interventions and the use of biomarker assessment in the care of patients with heart failure. • Discuss future directions in the management of heart failure. Educational Format: Course faculty will present information in a case discussion and lecture format. There will be opportunities for the audience to ask questions in a panel discussion setting.